SoilWeb is a smart phone app developed by the California Soil Resource Lab for Android and iPhone devices. In a nutshell, it reads your GPS location and brings up a description of the soil series (or soil mapping unit) on which your standing. The first screen shows what a soil pedon (3-dimensional view of a soil and its horizons) would look like, with a detailed profile description and range of characteristics to follow. It is available for free from the Android Marketplace and the App Store. 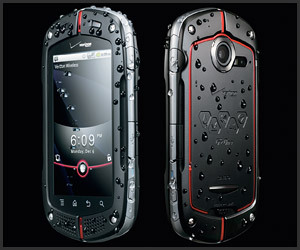 I recently made the jump from a “dumb phone” to a “smart phone” when I purchased a G’zOne Commando Android phone (the model I would recommend to all soil and wetland scientists out there since it is shock and water proof, and cold temperature resistant). As a soil scientist by trade, this was one of the first apps I downloaded. The application works great for a quick reference in the field. However, it doesn’t show a soils map of other soil series that may be nearby. This isn’t too big of concern for a general audience. If a soil map is desired, you can retrieve a soil map from the Natural Resource Conservation Service’s Web Soil Survey from any computer with internet access. I commend the California Soil Resource Lab for developing this app, and for making soil science accessible to the general public. One thing to note, for my international readers at least, is that the data used for this app is soil map digital data from the United States Department of Agriculture Natural Resource Conservation Served (USDA NRCS). The NRCS uses Soil Taxonomy for soil classification. Although Soil Taxonomy is a global soil classification system, it is different from the World Reference Base system and others that exist. This entry was posted in News and tagged Android Market, App Store, pedon, soil, soil science, SoilWeb, USDA NRCS, Web Soil Survey, WSS. Bookmark the permalink.